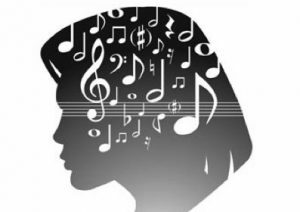 Psychologists, neuroscientists, and experts in early childhood development have demonstrated that music does more for children than bring them joy; it helps their brain cells make the connections needed for virtually every kind of intelligence. Kindermusik’s curriculum is built on this research. By moving and dancing to music and playing simple instruments, children improve their gross and fine motor skills. Activities that encourage freedom within a fun and friendly structure spark their creativity. Your Babies age (0 through 1 1/2 years) – We take those special bonding moments between parent and baby and add a unique blend of learning activities that stimulate and engage all the senses. We teach parents how to encourage their babies learning through vocal play, object exploration , instruments and creative movement. Your Toddler age (1 1/2 to 3 1/2 years) – We encourage toddlers to be creative, to initiate their own ideas and to respond in their own ways. As they play instruments, sing, move and explore, they’ll uncover an engaging musical world while building confidence, self-control and communication skills. You, as the parent, and your child’s best and most important teacher, will be along so you can do the activities on the level that your child is comfortable first and then encourage them to try new and more stimulating ideas. Your Preschooler age (3 – 5 years) – We use the power of music to tap into preschoolers’ creative spirit and boundless energy. We focus on developing their learning strengths and selfconfidence so they’ll be ready for school, prepared for future music lessons…or able to leap tall buildings.. You, the parent, come in for Family Sharing Time (and any tag-along siblings) so we can do a few activities together and you hear the focus of the class and receive ideas for home activities. 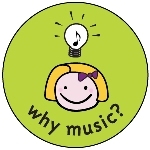 Your Young Child youngster (Kindergarten & 1st grade) – Your teacher will provide a pressurefree, small-group class where children can develop a strong musical foundation by learning the concepts, language, notation, and vocabulary of music and its greatest composers. Prepare young children who are eager for their first experiences with musical symbols and instrument discovery but are not yet ready for formal lessons and traditional music reading with an instrument. Parents or caregivers (and any tag-along siblings) attend the last 10-15 minutes of class, or Family Sharing Time.